Hong Kong ex-leader Donald Tsang has been found guilty of misconduct in office, in a case related to his use of a luxury flat in China. The former chief executive, who led Hong Kong from 2005 to 2012, had faced three charges of misconduct and bribery. Donald Tsang, 72, was cleared of a second count of misconduct and the jury failed to reach a verdict on a third charge of accepting an advantage. He is the most senior Hong Kong official to face a corruption trial. The charges, which each carried a maximum of seven years in prison, related to events which took place near the end of his term between 2010 and 2012. Prosecutors accused Donald Tsang of engaging in a number of conflicts of interest without declaring them, including renting a luxury flat in mainland China from the shareholder of a broadcast company, Wave Media, whose license applications he approved. They alleged the flat was redecorated for free for Donald Tsang and that he later nominated the interior designer for an honor. The jury, which deliberated for two days, found Donald Tsang guilty of misconduct over his failure to disclose the lease of the flat, but dismissed the charge related to the designer. It did not reach a verdict on whether the former leader accepted a bribe in the form of the refurbishment. Sentencing will take place on February 20, AFP reported. Donald Tsang has previously insisted his conscience is clear. A career civil servant, Donald Tsang rose through the ranks to become Hong Kong’s second chief executive, following Tung Chee-hwa. 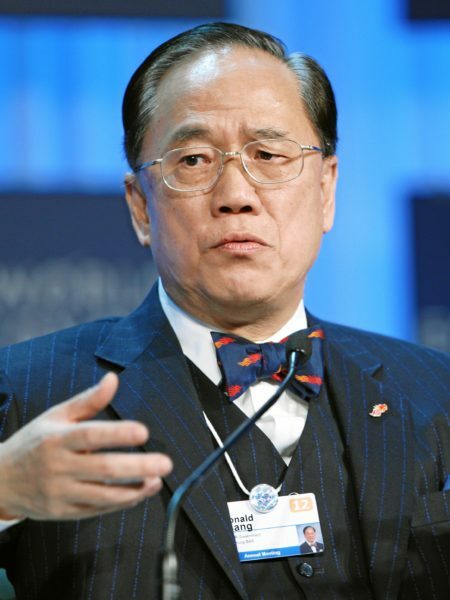 Donald Tsang’s deputy, former Chief Secretary Rafael Hui, was jailed for accepting bribes from a property tycoon in 2014.